Travel for our family often encompasses eating explorations, sure, history and local culture top the list too, but all of us can usually agree on getting to the locals only must eat store (eat-store, aka restaurant, coined by my nephew Sir Sully). 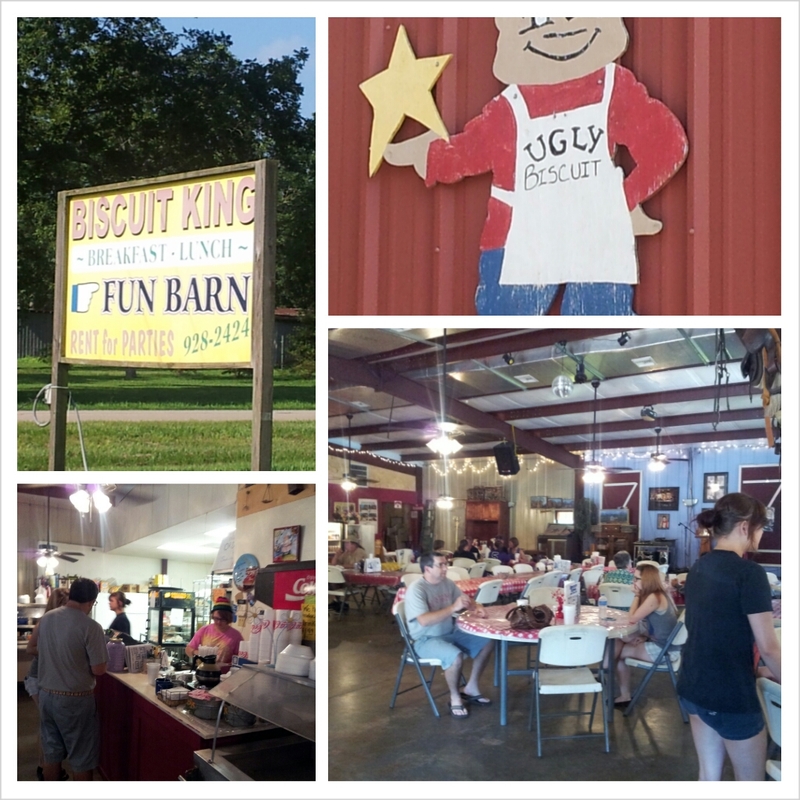 We recently dined our way thru a vacation in Lower Alabama. Gi-Normous, ugly and heavenly filled mouthwatering, belly aching irresistible biscuits are not to be missed on your next trip to LA (lower Alabama). And they are born and raised all within view of the curious diners. 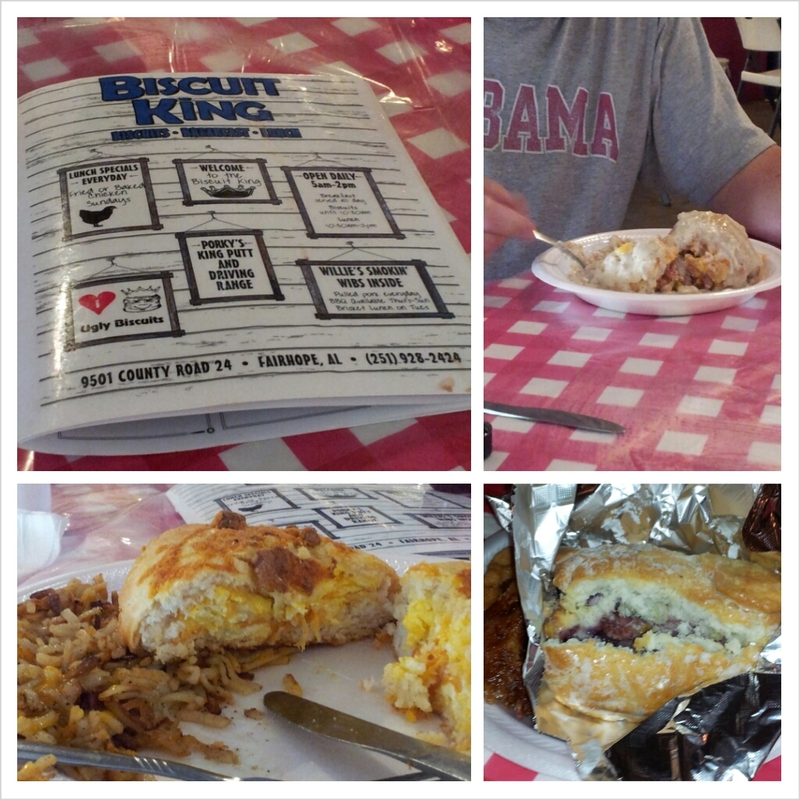 We visited the home of these ugly treasures, called Biscuit King Cafe in Fairhope, Alabama felt like we stroke gold, and as mentioned above, a small belly ache from over indulgence. This small family business has something going for sure. 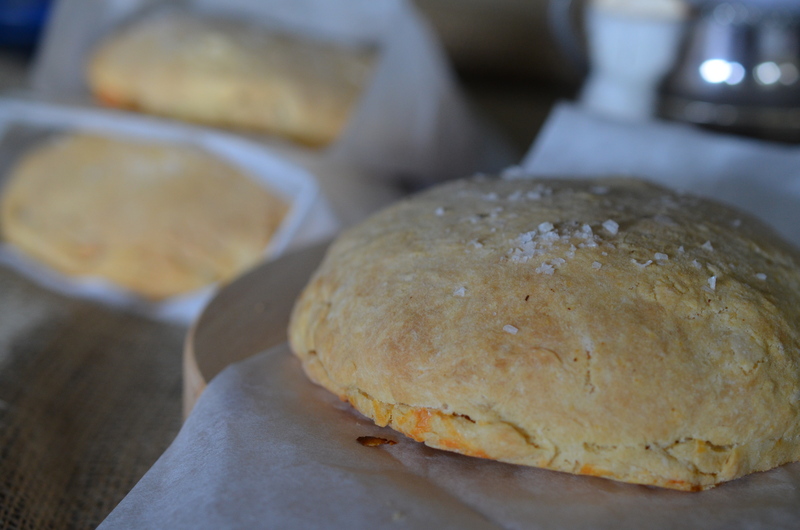 Happily we took enough away that I was able to recreate a similar recipe- Surely the Biscuit King reigns supreme, but until theirs and mine go head to head, I will stand by these are just as good! 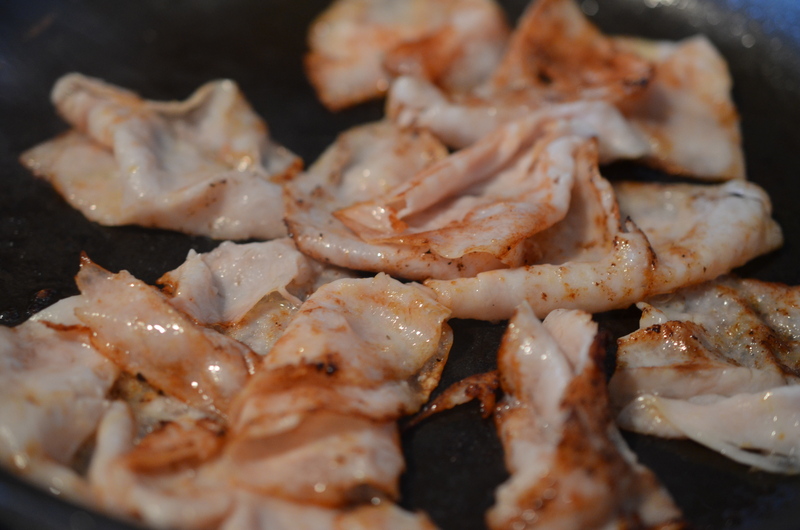 In a frying pan, over medium heat with a small amount of oil, sauté the meat until caramelized with golden color. Remove the turkey from the pan and take the pan off the heat. Whisk together the eggs and milk until frothy, and return the pan to the stove. Over medium heat add the eggs to the sauté pan and cook until softly scrambled before removing from the heat. Make sure not to overcook as there will be carry over cooking and reheat in the oven. Add the tablespoon of butter to the eggs and mix until melted and incorporated. Refrigerate until ready to assemble the biscuits. Keep the eggs and the meat separate. Be sure they are both cool before assembling as it will eliminate chance of overcooking the eggs. 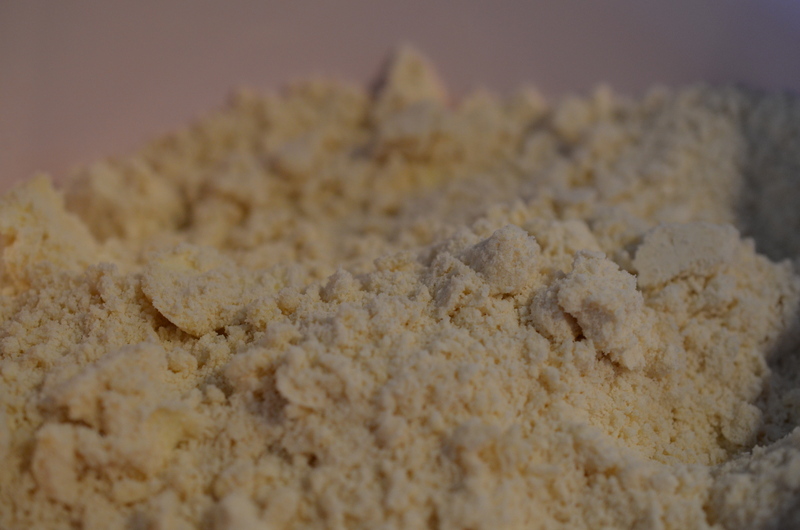 In a large mixing bowl, whisk the flour, baking powder, baking soda, salt, and sugar together. Using a pastry blender or your hands, cut in the butter until the mixture resembles coarse crumbs with a few large clumps remaining. The butter should be cold, and will leave some lumps. If you prefer to use your hands be quick and make sure the butter is very cold so it doesn’t melt. I like to use my hands so I can get the flour/butter mixture to crumb faster. Pour in the buttermilk and fold the flour until the liquid is incorporated. 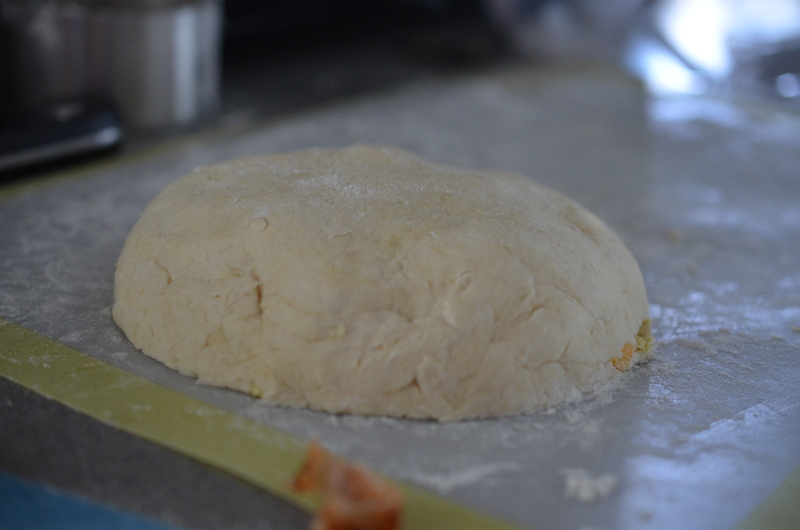 The dough will stick together in a ball and be slightly tacky. Do not overmix as this is when biscuits become rocks. 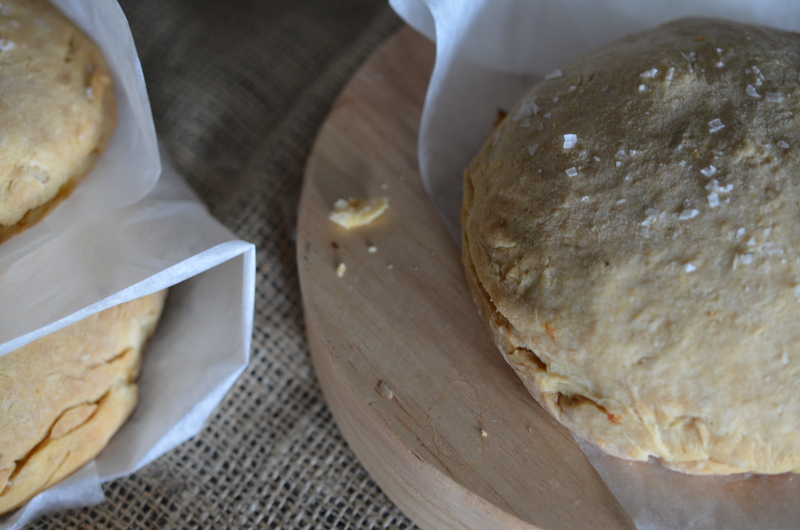 Allow the dough to sit for a few minutes before assembling the biscuits. 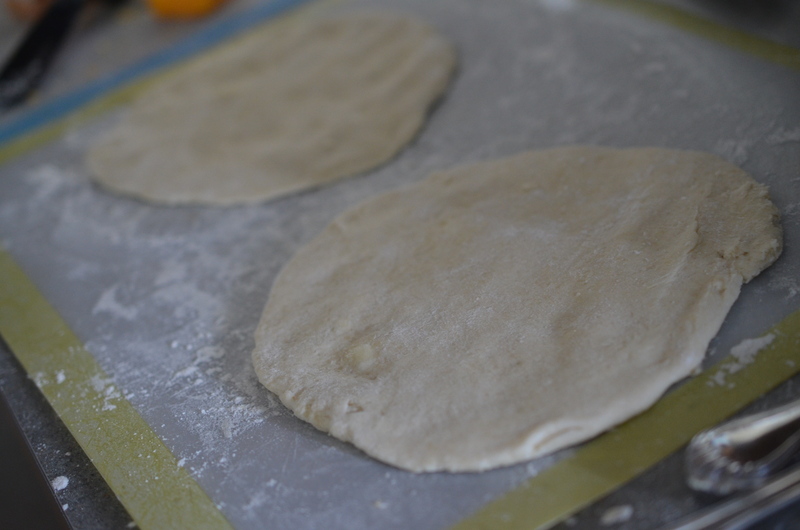 On a lightly floured surface, scoop out a half cup measure of dough and with floured fingers, gently pat the dough into a 6 inch circle. The thickness should be about ¼ inch. Repeat with another half cup portion of dough. 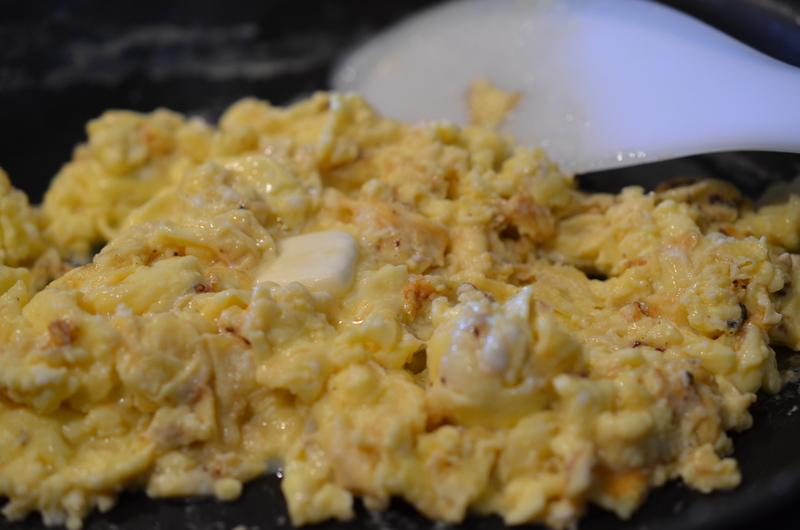 Spread a ½ cup of the chilled scrambled eggs over the surface of one biscuit disc. 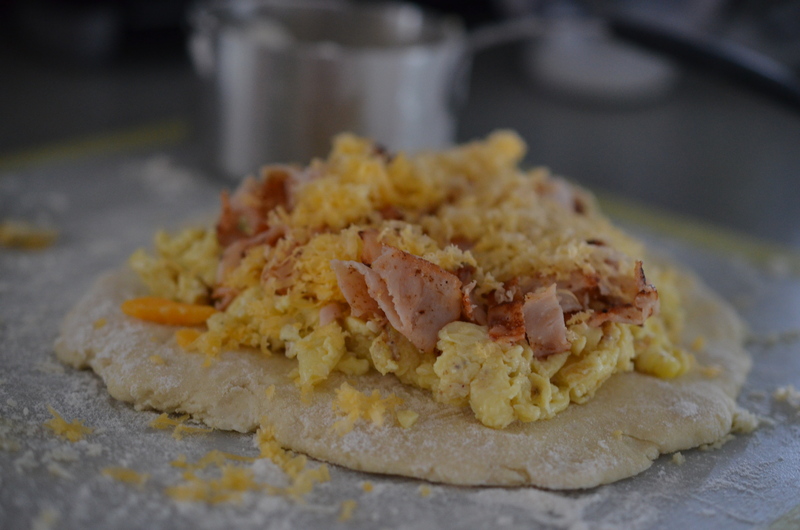 Sprinkle a ¼ of the turkey/ham over the eggs and then follow with an ounce of shredded cheese. 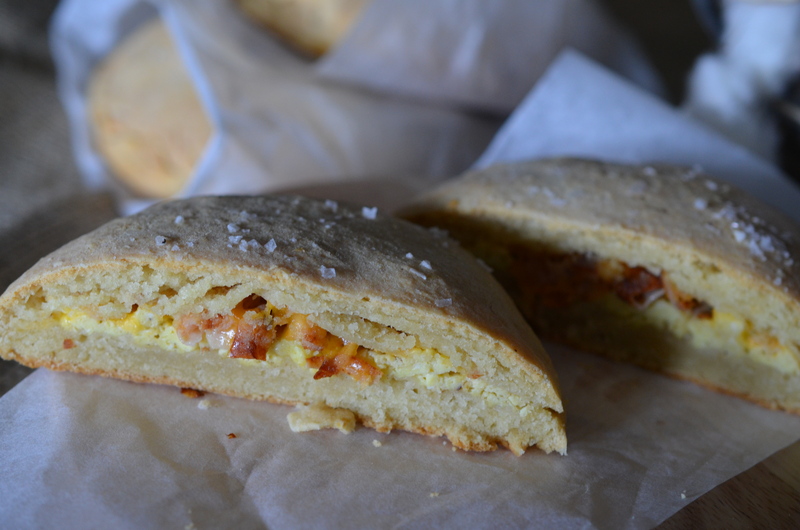 Gently lift the remaining disc and place on top of the egg and cheese filling. Press the edges together and tuck the seam under the bottom of the disc. Transfer the stuffed biscuit to a parchment lined baking sheet and brush with butter, followed with a sprinkle of sea salt. Repeat process three more times for a total of four stuffed biscuits. Place each two inches apart, which may require using two baking sheets. Bake at 375 for 40 minutes, rotating baking sheets half way. The temperature of the center should reach 160 degrees. These can be held in a warming oven for about 30 minutes. 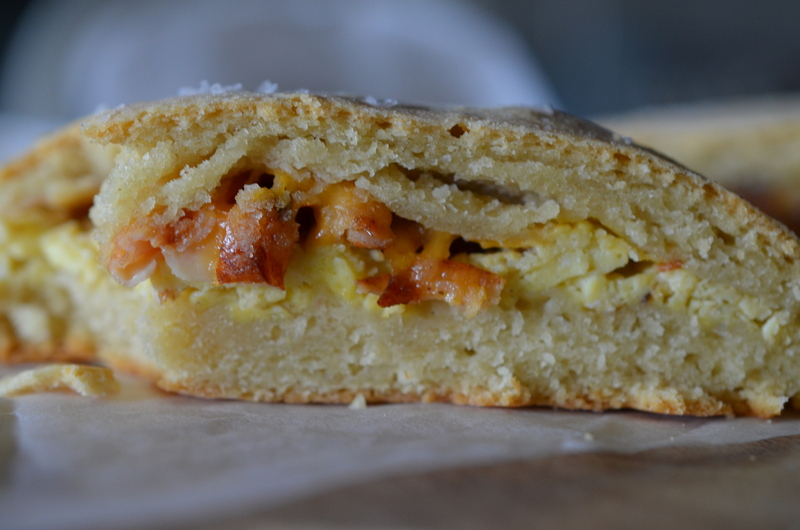 We had one leftover that we reheated in the microwave the following day which turned out was still pretty good. Certainly best fresh from the oven, but I won’t be throwing out the one that doesn’t get eaten. It is a state that does many things right – Perfect color of Crimson, rows of pecan fields, perfectly drawn hounds tooth, National Championships, Silver Queen Corn, gardenia scented streets, and now… Stuffed biscuits. 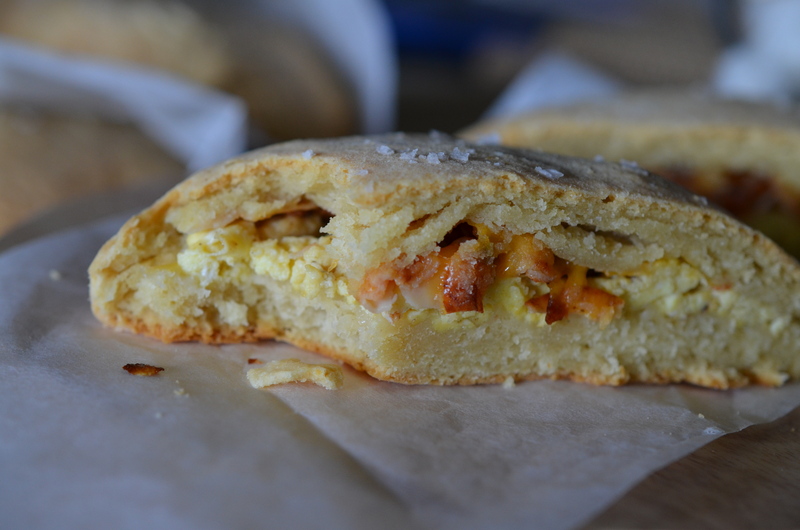 This entry was posted in Biscuits, Breakfast Dishes, Family Life, Fun Food, Outside the Kitchen, Recipes, Sandwiches, Southern Cooking and tagged Biscuit King, Biscuit Sandwich, Buttermilk Biscuits, Fairhope, Stuffed Bicuits. Bookmark the permalink. OH My goodness! I am afraid to even try this recipe!! I may HURT myself! YUM! YUM!